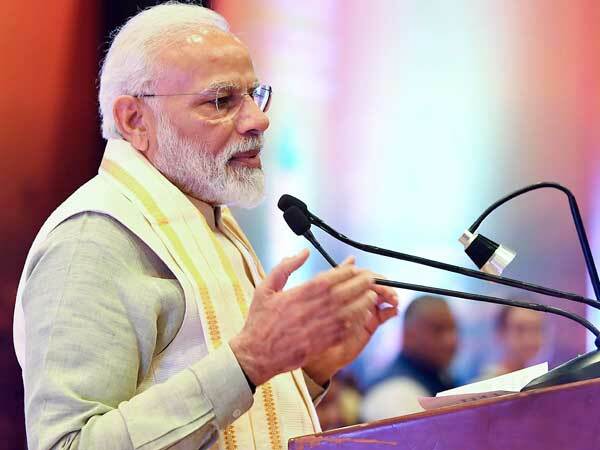 New Delhi, May 10: Amid tight security, counting of votes cast in the assembly election in West Bengal, Tamil Nadu, Kerala, Asom and Pondicherry will be taken up tomorrow, the outcome of which may have a bearing on the stability of the Manmohan Singh-led UPA Government at the Centre. 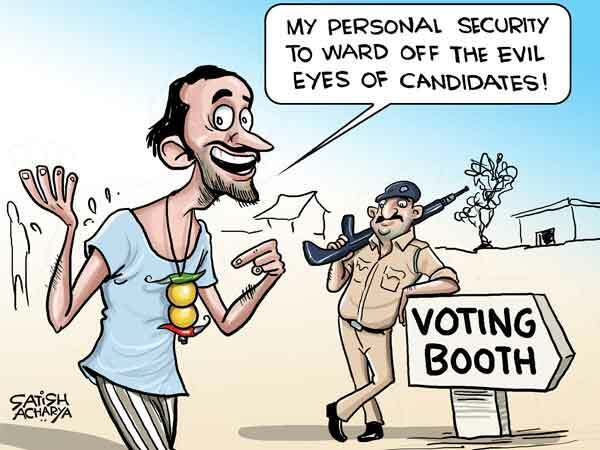 Besides the results in the assembly election, poll analysts and the people at large will also keenly await the outcome of the Rae Bareli Lok Sabha poll. The victory of the Congress President in Rae Bareli is almost a foregone conclusion but the interest will be in her victory margin. Ms Gandhi had resigned the Lok Sabha seat as well as the chairmanship of the National Advisory Council (NAC) in March following the office-of-profit controversy. If various exit polls are to be believed, Tamil Nadu may witness the installation of its first coalition government, headed by the DMK. The pollsters have predicted a resounding victory for the Left Front in West Bengal and the LDF is expected to dislodge the UDF in Kerala. A hung assembly seems imminent in Asom with the Congress appearing set to emerge as the single largest group. In Pondicherry, the Congress is making a desperate attempt to retain power. In West Bengal, 1654 candidates, including 137 women were in the fray in Kolkata and 18 districts. Polling for Bhatpara constituency, which was countermanded following the death of a candidate, will be held on May 16. At stake are the fates of 19 Ministers, including Chief Minister Buddhadeb Bhattacharjee and his cabinet colleagues Nirupam Sen, Asim Dasgupta, Surjyakanta Mishra, Manab Mukherjee, Ashok Bhattacharjee and Subhash Chakraborty besides Speaker Hashim Abdul Halim. In Tamil Nadu, AIADMK General Secretary and Chief Minister J Jayalalithaa, her ministerial colleagues, DMK President M Karunanidhi, actor Vijayakant and DMK Deputy General Secretary M K Stalin are among the political heavyweights whose fortunes are at stake. A Thiruvananthapuram report said the Marxist-led Opposition Left Democratic Front (LDF) is in an upbeat mood with pre-poll and exit polls predicting a victory for them even in the absence of any marked anti-incumbency factor in Kerala. The Congress-led United Democratic Front (UDF), however, says it will retain power, even if by a slender margin. Previous elections in 2001 saw the UDF wresting power from the Marxist-led combine by a huge majority of 100 in the 140-member house. Much water has flown under the bridge since as the Congress lost almost all by-polls, elections to Parliament and local bodies. Mr Oommen Chandy took over as Chief Minister after Mr A K Antony's resignation and the Congress later split with veteran leader K Karunakaran forming a new party. However, Mr Karunakaran threw in his lot with the UDF for the election. While the UDF projected Mr Chandy as Chief Ministerial candidate, the LDF is in some confusion on the leadership issue. Though CPI(M) Polit Bureau member and Leader of the Opposition V S Achuthanandan stole the limelight during campaign, it is uncertain whether he would be asked to head the government if the LDF got a majority. Mr Achuthanandan is seeking re-election from Malampuzha where his Congress rival is Mr Satheesan Pacheni. If exit polls are an indicator, no party or alliance seems to emerge clear winners in Asom. All eyes would be set on the smaller parties and Independents who are likely to emerge as the kingmakers. The Bodo faction, newly-floated Asom United Democratic Front and the Independents are seen as crucial in determining who forms the government at Dispur. The fate of 997 candidates are sealed in the Electronic Voting Machines (EVMs), of whom 69 are women. Chief Minister Tarun Gogoi, AGP chief ministerial candidate Brindabon Goswami, BJP leader and former Union minister Bijoya Chakrabarty, state Congress chief Bhubaneshwar Kalita and former chief minister Prafula Kumar Mahanta are among the important leaders who were in the fray in Asom. The 30 member Pondicherry Assembly went to the polls in two phases. While Mahe, Palloor and Yanam constituencies voted in the first phase on May 3, the electorate in Pondicherry with 21 seats and Karaikal with six seats exercised their franchise on May 8 in the second phase. As many as 218 candidates contested the elections, prominent among them being Chief Minister N Rangasamy, former Chief Ministers V Vaithilingam, R V Janakiraman and P Kannan, founder president of the Puducherry Munnetra Congress.